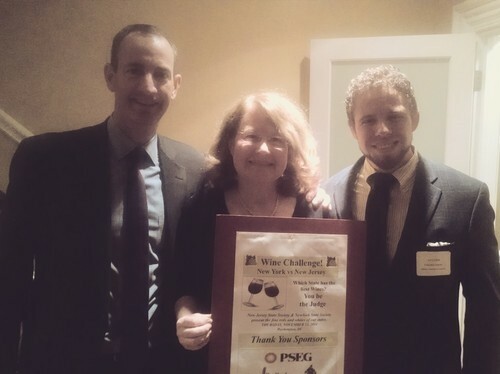 I had the opportunity to represent New Jersey wines in Washington DC a couple weeks ago at a New Jersey and New York wine tasting competition, held jointly by the respective state societies. To be honest, I didn’t even know what a state society was until this event, but Nancy Fatemi and her staff do a great job connecting the delegation representing the Garden State to things that are happening back home while they are in Washington. Working Dog, Sharrott, Unionville, Heritage, Hawk Haven, Bellview and Beneduce all were poured to Congressmen, top aides and staffers, state society leaders, and even a few wine industry leaders. The spread was terrific and although there was some rain and snow to contend with that November evening, the townhouse owned by UPS that held the event was at capacity. The bad news- most of the people in the room were not familiar with NJ wines prior to this. 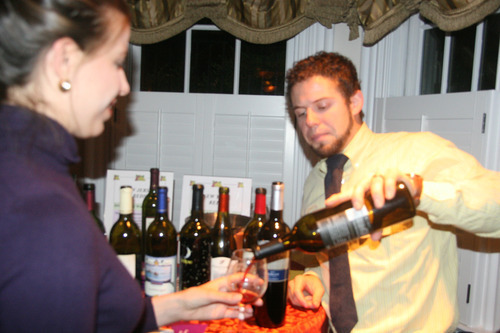 The good news- they loved everything I poured! They loved the stories behind these wines and the developments in the state wine industry. Multiple congressmen are discussing visits to the vineyards and wineries in the districts to learn first hand about the positive impact the wine industry has on the state’s economy, reputation, and farm aesthetic. So yes, there were of course some wines from New York too. Pretty good bottles all in all, I would say. Who won the challenge? Well it was a friendly taste test, so no formal announcement was declared. I will point out that the NJ bottles were exhausted quicker (and we brought more!) than those of New York. Since Jim Trezise, my counterpart in New York could not attend, I feel perfectly comfortable saying it was a riotous victory for the Garden State!